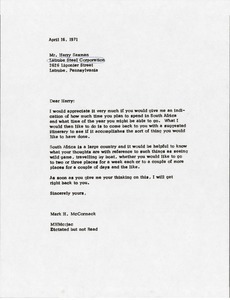 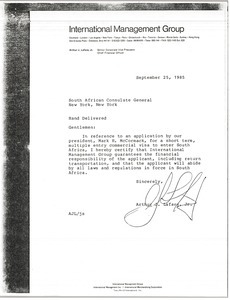 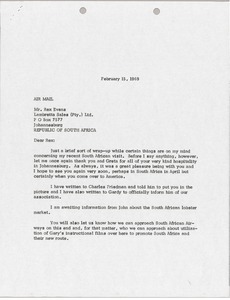 South Africa - Requesting Saxman's potential travel plans and arrangements for a trip to South Africa so that McCormack can send a suggested itinerary. 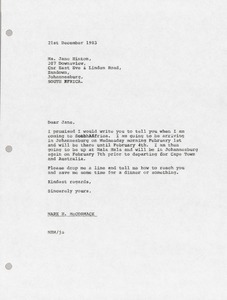 South Africa - McCormack informs Hinton of his travel schedule in South Africa. 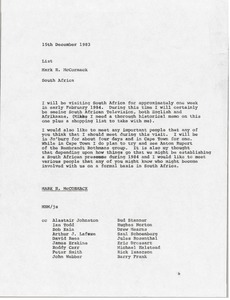 South Africa - McCormack enjoyed meeting Bolton and looks forward to seeing him in Johannesburg in early 1985. 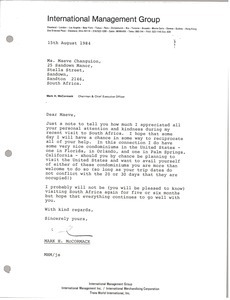 South Africa - McCormack thanks Changuion for help during his visit to South Africa. 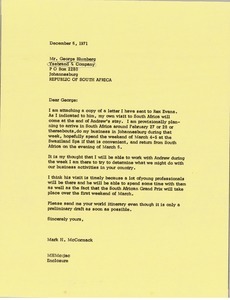 South Africa - McCormack writes regarding his upcoming visit to South Africa. 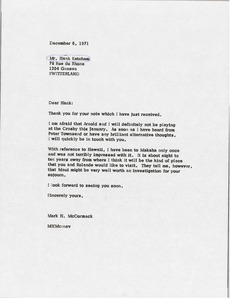 South Africa - McCormack informs Hank Ketcham that Arnold Palmer and himself will not be playing at the Crosby in January. 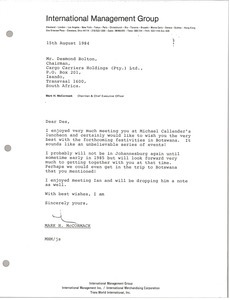 He notes that he will be in touch with Ketcham once he hears from Peter Townsend or has any alternative thoughts. 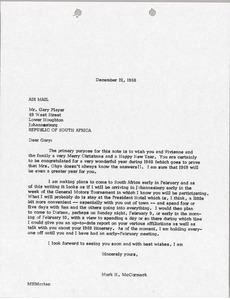 He also offers his opinions on different locations in Hawaii that Ketcham and Rolande might be interested in.